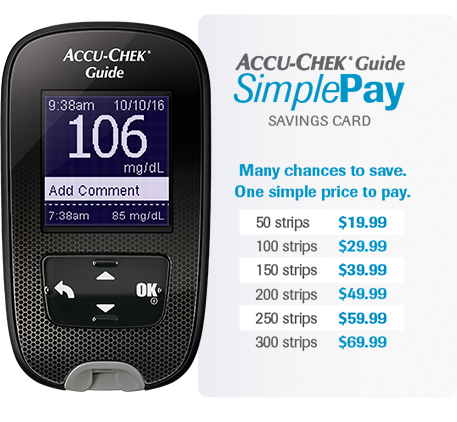 The Guide Meter is a hand held blood glucose meter that utilizes test strips to perform blood glucose measurements. The meter stores the blood glucose measurement results as well as control results. The meter can communicate with 3rd party continua managers and an Application Hosting Device (AHD) application via Bluetooth SMART. The meter also communicates with a computer via a USB cable provided by Roche.